A steering committee was also created to work hand-in-hand with the EMES coordination unit in terms of planning and implementation of activities. The members of the EMES PhD Student Network will play a role in future editions of the summer school. Firstly, graduated PhD students could be involved as faculty members while those alumni who are still pursuing their PhD work will be encouraged to participate so as to provide a sense of continuity. 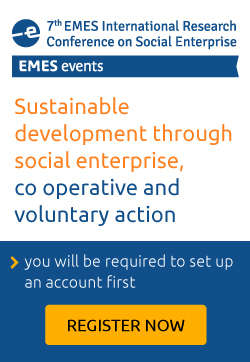 Additionally, PhDs will have a prominent role in EMES-organized events, such as EMES International Conference on Social Enterprise. 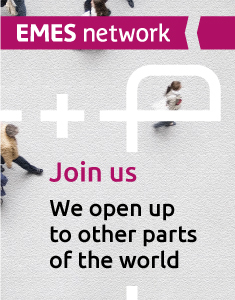 The EMES PhD Student Network has a Facebook group where you can request access to exchange information and news. The European PhD Network on the Third Sector and Civil Society, which organised annual meetings, thereby creating a forum for PhD students to share research and network around issues related to the study of the voluntary or third sector and civil society. The Canadian Social Economy Student Network (SESN). Which is intended to generate synergies among students currently involved in – or interested in undertaking – research and/or study into the social economy. It functions as a multi-disciplinary virtual research space and online networking vehicle and aims to facilitate the building of an online “global” social economy community.